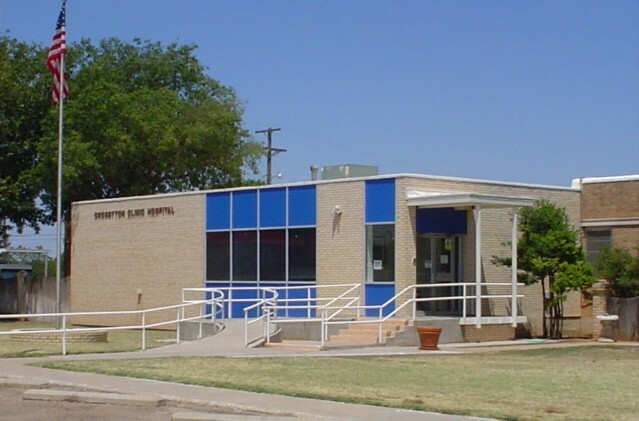 Crosbyton Clinic Hospital was established in 1945 as Crosbyton Co-Operative General Hospital. In 1977 a building was built attached to the hospital to house a physician clinic. In 2003, the clinic was designated as Rural Health Clinic. That same year, Crosbyton Clinic Hospital became a 25-bed Critical Access Hospital. Dr. Steve B. Alley, M.D. Crosbyton Clinic Hospital provides a twenty-four hour Emergency room service, mobile MRI, mobile echo-cardiology services, mobile dental services, laboratory, rehabilitation therapy, radiology, swing-bed program, Reeves Rhoades Terrace Assisted Living Center and Emergency Medical Services (EMS).